It's no secret that Ashley and I LOVE spoiling our attendees! We spend a lot of time thinking about how our guests will feel when they walk through our doors. 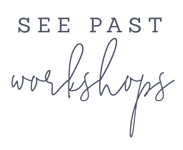 We not only want our workshop to be educational, but also a time for our attendees to feel filled-up with new friendships, sweet gifts, and good food. Curating our gift boxes for each workshop is something we absolutely love. 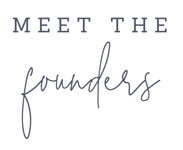 As big believers in "the little things", we think these special gifts will make our attendees feel pampered and inspired, since they all come from small businesses we adore!